If there is no local supplier and you want to go to the effort of importing chickens or fertile eggs into your country, you should be aware that it's not an easy process. Plus, we still can't help you--we don't export or ship internationally. We get asked often enough that we can provide some advice, though. First, you will need to check to see what customs regulations your government applies to importing chickens and/or fertile eggs. Most governments have paperwork requirements for customs, some have extensive, complicated applications, extra fees, and so on. You will need to be prepared for, take care of and pay for any and all legal requirements. Once you know what you need in terms of legal paperwork, you would then need to locate a breeder who is willing to provide that paperwork. We do not provide anything of that sort, which is why we don't ship internationally. We are not a breed registry, either, and can't locate suppliers for you. Try a Google search to find breeders or breed clubs that could direct you. Once you have found a breeder willing to help, be prepared for what it entails! Remember that it is costly: often the breeder will charge you a premium price, over and above their regular price, if veterinary examinations or certifications are needed beforehand, to cover their cost. When importing live birds, sometimes you will need to pay your government additional money to house the birds for a quarantine period before they are released to you on your end. In addition, there will always be a high shipping cost to make sure the birds have what they need for such a long journey. Plus, some airlines will not ship live animals, or they may have specific requirements for shipping, too, so be sure to check that as well. When it comes to importing eggs, they may be easier to import in some senses (since you won't have to feed and water them along the way like live birds), but the paperwork and legal requirements may be essentially the same. Plus, pressure changes, baggage handling and X-rays mean that it is unlikely eggs shipped that far will hatch. No supplier of fertile eggs guarantees a hatch rate even if you buy eggs from someone half a block away. Even when fertile eggs are not shipping internationally, a zero hatch on shipped eggs may not be the usual result, but it's not especially rare. So, with fertile eggs, you may be going to a great deal of expense and end up with zero birds. 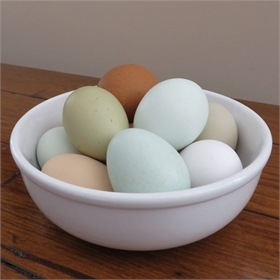 The bottom line is that, generally speaking, it is much less expensive and less difficult if you can find a local supplier for your live birds or fertile eggs. If there is no one really local to you, you will still want to find someone willing to provide what you need for customs who is as close as possible to you, to reduce your cost and your risk of loss.